After their highly noted performance in Byron Bay for Blues Fest 2015, the trio were back in the town of Melbourne to kick off a string of sideshows. We were lucky enough to catch them play at The Corner Hotel in Melbourne as part of. As part of this review it should be noted that I have seen these guys before last year at The Hi-Fi in Melbourne and back in 2012 at The Corner. It is always a pleasure to see them, they are one band that seems to be digressing and with that they deserve every bit of success being earned. Local band, Spooky Land warmed up the stage for Band Of Skulls as supports on the tour and did a credited job at it. 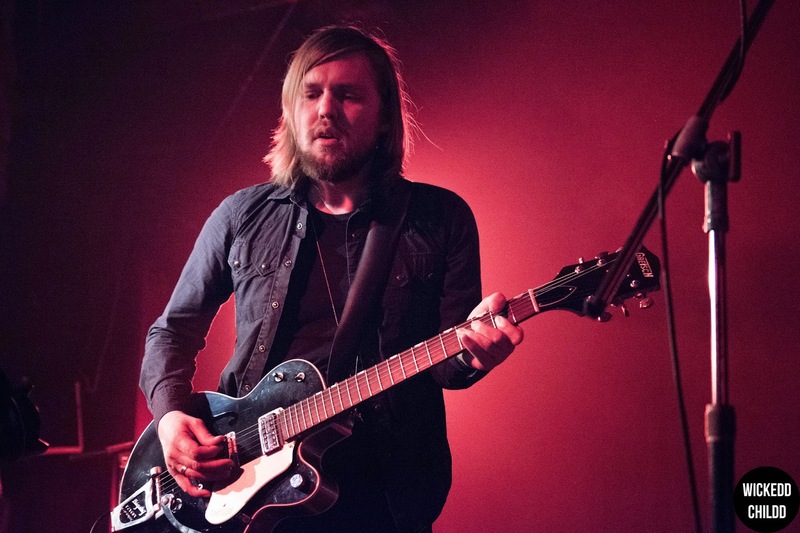 Currently on tour promoting their newly released album ‘Himalayan’, Band Of Skulls are no strangers when it comes to visiting down under and performing a handful of stacked out shows. The more times they have visited the comfort that you feel from them seems to be real, with a stability in connecting with the crowd so warmly that it is very heart felting to see. They did this frequently throughout their gig, acknowledging their fans for continuing to come back and see them, even though they visit quiet often, more than other bands. With such vision, it was a pleasure to see fans enjoying their new tunes preformed live. Breaking out from the new album was their firstly released single, ‘Himalayan’ which had gained quite the rotation on Triple J radio, which could define the reason why fans were so appealed to it live. The crowd were also lucky enough to gaze a close, intimate guitar riff by Russell Marsden where at this point he was right at the end of the stage connecting with the crowd to the sight of where they would freeze and just adore, and it had only been three songs in. Another new track that was also a definite stand out was ‘Hoochie Coochie. The sexiness in that track is filled with such thrills that came to life more when preformed live, such sexual appeal and rock and roll’s ‘no care’ attitude was in force, especially by Emma Richardson was slaying her way with her bass line rhythms and subtle vocals that oozed flair. We must not forget master beat maker who can not be broken, drummer Matt Hayward, who throughout the night was seen smiling giving the impression that he was even feeling the great vibes from the night. The group kept their most popular track ‘Sweet Sour’ near the end, I was expecting it to be an encore track, however this was a nice surprise as it showed that people still wanted to hear more, not just that song when they finished their first set before encore. After seeing them for a third time, I believe fans are still driven for more music by these guys. Their live performances make you impulse yourself to pick up a CD, or purchase their music because it is that thrilling. The impacts real, their music is real and they keep it real. Lets just say, I can’t wait to see them back in Australia again.